LONDON: A consortium behind a liquefied natural gas (LNG) import project in Pakistan, including oil giant ExxonMobil, France’s Total and Qatar Petroleum, has been dissolved, shipping company Hoegh LNG said on Thursday. 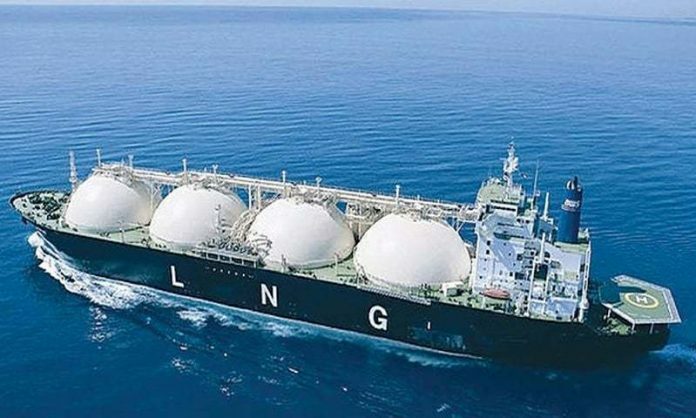 Hoegh LNG was due to supply the project’s ship-based import terminal, a floating storage and regasification unit (FSRU), where LNG brought in by tanker is converted back to gas to feed into Pakistan’s grid. Other members of the consortium were Japan’s Mitsubishi and Turkish developer Global Energy Infrastructure (GEI). “The consortium has spent considerable time and resources on finding (the project’s) final form and structure. 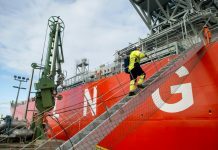 However, by mid-November, it has been concluded that no agreement with GEI could be found and the consortium has consequently been dissolved,” Hoegh LNG said in a statement. Last month, it was reported that ExxonMobil pulled out of the project owing to disagreements with GEI and that Total and Mitsubishi could also quit and join a rival scheme. The project was set to be Pakistan’s third and biggest by import capacity, starting in late 2018 or early 2019. Pakistan plans to add its second LNG import terminal by the end of this year, but private companies have proposed building six more, largely around Port Qasim. Hoegh LNG did not elaborate on the nature of the disagreement with GEI but industry sources with knowledge of the matter said part of it related to project costs. 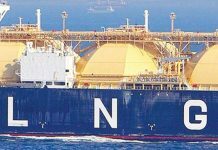 “Due to the withdrawal of the LNG sellers from the infrastructure consortium and delays to the original start-up date for the GEI project, Hoegh LNG is evaluating its options with respect to the FSRU contract with GEI,” it said. The company said it is also pursuing alternative opportunities in Pakistan as an FSRU provider. A highly developed pipeline grid, extensive industrial demand and the biggest natural gas-powered vehicle fleet in Asia behind China and Iran make Pakistan an easy fit for LNG. Official estimates show that imports could jump fivefold to 30 million tonnes per annum (mtpa) by 2022. GEI has approached several companies about joining the scheme, including trading house Vitol.